Custom Pin Button Badges - Wee Badgers make badges fast! 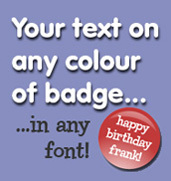 Wee Badgers take your designs and turns them into high-quality pin button badges at a great price in no time at all. Customers range from rock bands to theatres, schools and charities. 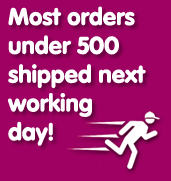 Ordering button badges is fast and simple. We look forward to hearing from you! We're constantly praised for our great communication and quick replies, so if you have any questions at all, please email [email protected]! We can also reply to enquiries by SMS. Here are some of the badges we've made over the last week. All our badges now require a signature on delivery, so you can be confident that your package is safe! 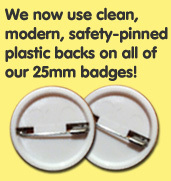 Order your badges now quickly and easily! It's now even easier to order your badges! 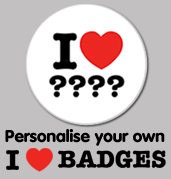 Simply use the order form to tell us how many badges you want and to upload your design. If your image is particularly large, please email it to [email protected] instead.